In Facebook there is no such tool that can offer you to insert symbols into text. But there are some "Keyboard shortcut" keys that can be used for doing so. In my earlier posts, there was a trick or certain combination of keys to insert "Check Mark" symbol in Facebook. Special symbols can be added or inserted in Facebook with the help of keyboard keys. 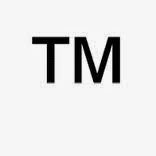 The famous symbol of "TradeMark" if you have noticed cannot be added in Facebook just like that. This symbol cannot be just typed in the post as it is basically in the "SuperScript" fashion. Hence using of keys is mandatory. Cool idea of using keys for inserting "TM" symbol in Facebook posts.